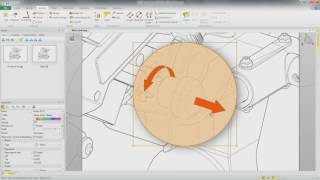 With its easy-to-use product approach, SOLIDWORKS Composer streamlines the creation of 2D and 3D graphical contents for product communication and technical illustrations. 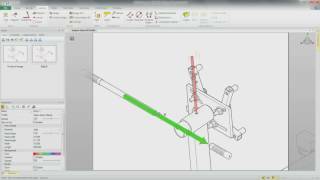 SOLIDWORKS Composer allows non-technical users to create associative 2D and 3D product communication deliverables directly from your 3D CAD data. 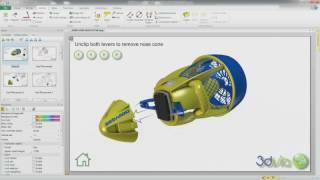 By leveraging existing product designs, SOLIDWORKS Composer enables deliverables to be initiated earlier and then kept up to date automatically, helping to lower costs and speed time to market. Clearly explain and present your product or process using 2D and 3D graphical content that you can quickly create with SOLIDWORKS® Composer™ software. The easy-to-use tools and intuitive product approach let you work directly from 3D CAD data to make high quality illustrations, photorealistic images, and even interactive animations without waiting for a physical prototype.